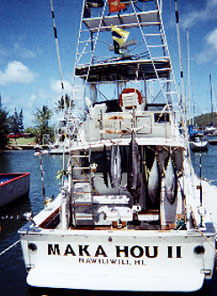 half-day; three-quarter-day; full-day; tournament charters; & private sunset cruises. We cut fish under 50 pounds and filet it for passengers to have a nice BBQ. We also have a lot of Hawaiian style recipes.